Are you responsible for sending your people into danger? In a new Procurious blog series, The World’s Deadliest Supply Chains, we investigate the most high-risk supply chains out there. Piracy may not quite be the world’s oldest profession, but for thousands of years plundering and pillaging on the high seas has struck terror into the hearts of more honest seafarers. Along the journey – or should we say voyage – these seafaring brigands have developed a cuddly reputation as harmless Captain Featherswords with bushy beards and eye patches, bearing a Jolly Roger for show more than anything. Even the feared 17th century English pirate Blackbeard was romanticised posthumously after a life of pillaging and murdering in 1718. Of course, there’s nothing innocuous about latter-day piracy, which remains the scourge of merchant shipping in some of the world’s busiest transit lanes. For a start, cutlasses have been replaced by high-speed landing boats, automatic weapons and even rocket-propelled grenades. Modern cargo and tankers might not look vulnerable, but despite their gargantuan size they’re crewed by just a handful of people who – by convention – are unarmed. 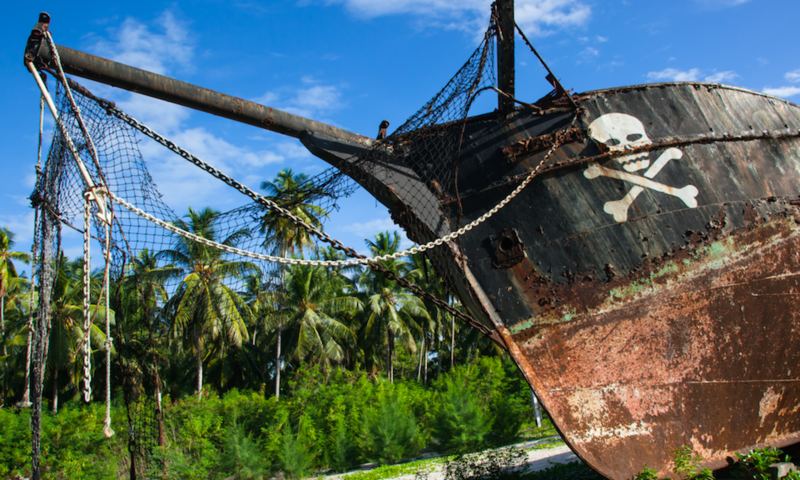 The extent of piracy has always ebbed and flowed, but it re-entered the public consciousness when the disintegration of the Somalian state in the early 2000s spurred a surge in piracy across the Indian Ocean and the Red Sea. Recent activity has focused on the Gulf of Guinea and, more specifically, Nigerian waters. Other modern piracy hotspots are the Straits of Malacca, Gibraltar and the Philippines. There have even been reports of ‘river piracy’ on the Danube in Serbia and Romania. The enforcement problem with modern-day Blackbeards is that most of the piracy occurs on international waters, with many countries willing to turn a blind eye. Over the last 10 years, the trends look to be heading the right way: according to the International Maritime Bureau’s Piracy Reporting Centre, in 2017 there were 180 reported incidents of piracy and armed robbery, compared with 267 attacks in 2007. Of these, 15 resulted in 91 crew being taken hostage, with another 13 attacks resulting in 75 crew being kidnapped (that is, taken off the boat). Sadly, three crew members were killed and six were injured. The IMB’s updated figures suggest some slippage: in the first six months of 2018 there were 107 reports of successful or attempted attacks, compared with 87 for the same period last year. Of these, 69 resulted in the pirates boarding and 11 in the ships being fired upon. Across seven incidents, 102 crew members were taken hostage, compared with 63 previously. 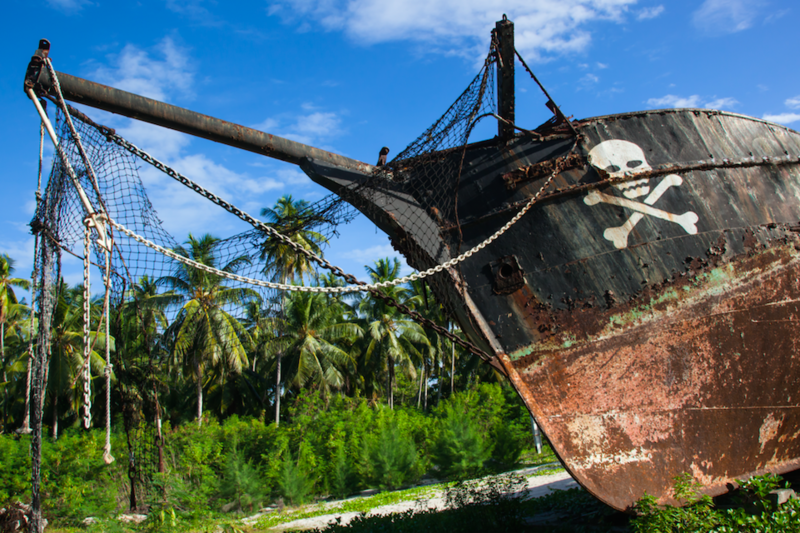 Geographically, piracy is an ever-shifting activity: none of the 107 reported attacks was in the old hot spot of Somalia, while 31 were in Nigeria and 25 in Indonesia. Unlike in Captain Phillips – the 2013 celluloid account of the US mariner’s struggle with Somali pirates in the Indian Ocean – the US navy is unlikely to steam to the rescue. But the long-term trends suggest increased vigilance on the part of ship owners and a somewhat belated response from navies and maritime authorities. In a celebrated case, the Malaysian Maritime Enforcement Agency recently apprehended 16 pirates attempting to board a tanker six nautical miles off the coast of Pulau Tinggi. Given the vastness of international waters and extent of shipping activity, no boat can rely on protection being close at hand, and captains are adopting their own measures to protect crews and cargoes in vulnerable regions. These remedies include razor wire on decks, hoses converted to sea water cannons, hardened bridges and even the use of mannequins as ‘armed’ guards. The high-end yachting sector has deployed laser dazzlers that can temporarily blind attackers before they board. Not all of the solutions are high tech. Earlier this year, pirates attempted to board the merchant ship MV Kudos near the island of Sibago in the Philippines. They were fought off after the crew adopted the medieval siege trick of pouring boiling water on the assailants. Of course, prevention is better than cure and crews in vulnerable areas are advised to maintain a 24-hour watch and radar vigilance. The IMB’s not-for-profit piracy reporting centre provides an around-the-clock service for Masters to report hijack attempts and suspicious activity, with regular updates. Despite the distress caused by modern pirates, at least their demands for monetary gains are clearer and easier to accede to than, say, the demands of politically inspired terrorists. Unlike the chest of gold doubloons in the past, loot can take several forms. In some cases, the culprits demand hostage money, leading to delicate negotiations as ship owners determine just how ambit the claims are. (The 2012 Danish movie A Hijacking documents the bewilderment of a ship’s crew as the hijackers and the ship owner’s dispassionate head office bean counters quibble about what their lives are worth). In extreme cases the pirates hijack the ship itself and take it to a friendly port for a new identity. In other cases, the contents of the ship’s safe and the crew members belonging will suffice. The resilience of piracy is linked with poverty and upheaval resulting from civil war: they’re desperate acts carried out by desperate people. In the case of Somalia, fishermen became pirates after foreign boats took advantage of the lack of government by overfishing or dumping toxins in the waters. In other cases, it’s the work of highly organised gangs. Given the varying motives, we can never quite be sure why pirates are pirates, so let’s just say it’s because they ‘arrrr’.